Delta Air Lines earned a net profit of $4.53 billion in 2015, a nearly $3.9 billion improvement from $659 million in net income in 2014. Delta CEO Richard Anderson told analysts and reporters that capacity discipline remains a key to the airline’s consistent financial success. The carrier grew total system capacity 3% year-over-year in 2015 and plans to increase system ASMs only 0%-2% in 2016. Anderson said Delta is now operating at a level “similar to other high-value industrial companies” and has built a “durable business model that can deliver strong results” in all market conditions. He predicted a profit margin of 18%-20% in the current quarter even though the first quarter is historically the company’s weakest quarter. Anderson noted Delta had a 99.6% flight completion factor in 2015 and had 161 “100% completion factor days in 2016.” The Delta CEO said that operational performance “significantly outpaces” rivals American Airlines, United Airlines and Southwest Airlines combined. Delta’s 2015 revenue was up 1% year-over-year to $40.7 billion while expenses dropped 14% to $32.9 billion, producing an operating profit of $7.8 billion, up more than $5.5 billion year-over-year. The expense reduction was helped by a 44% decrease in annual fuel costs. Delta’s fuel hedging strategy hurt its profitability in 2014, but Anderson said adjustments in hedging had allowed Delta to capture 75% of the benefits of low fuel prices in 2015. 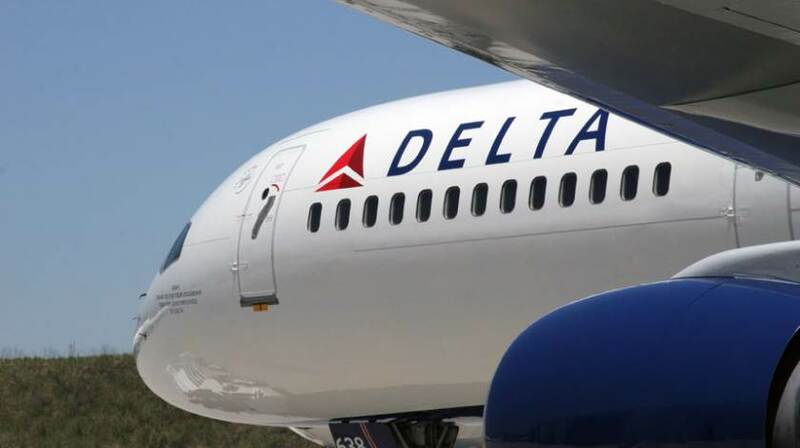 He added that fuel is expected to provide a “$3 billion tailwind” for Delta’s financial performance in 2016 despite anticipated losses of about $100 million-$200 million per quarter from fuel hedging this year. “Low fuel prices are very good for our business overall,” Anderson said. Delta’s 2015 system traffic was up 3% year-over-year to 209.63 billion RPMs on a 3% rise in capacity to 246.76 billion ASMs, producing a load factor of 84.9%, up 0.2 point. Passenger yield was down 4% to 15.59 cents.